International cosmetic brands are amazing, but did you know that there are homegrown beauty brands that can give you the same results or even better? Gone were the days when only international brands were trusted. 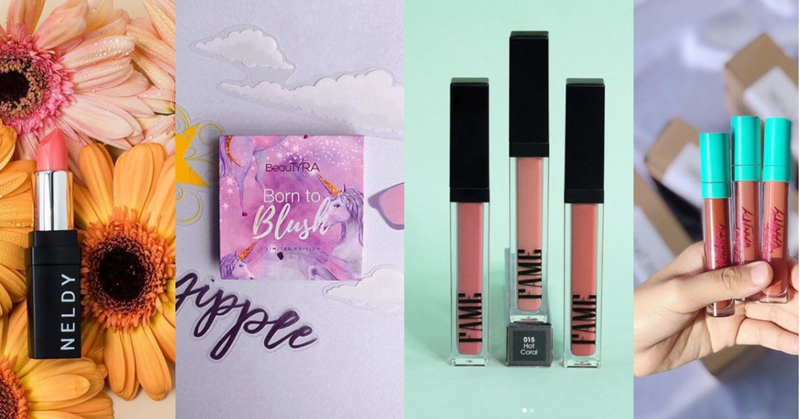 Here are 7 homegrown cosmetic brands that you might fall in love with! Available at : SOGO, ISETAN KLCC and IOI Mall Putrajaya! Or get it at the tip of your fingers at: Fashion Valet, Zalora or Shopee! Get their halal skincare products here! Their brand looks like it appeals to the younger crowd and we are literally OBSESSED with their range of products! Find out more on their website. Look flawless with Breena Beauty’s wide range of beauty products! Saw something you like? click here to place an order! Definetly the best way to describe their products! Specializing in being cruelty-free and vegan with their products, IrisA Cosmetics offer a range of affordable liquid lippies that gives you a matte look and comfortable wear. You can also shop single eyeshadow pods of various colours over at their website. GlamX provides hyper-pigmented eyeshadows, blinding highlighters and brush sets to complete your marble-designed collection. You can get hold of these products on their website or drop by the Play Up Advance store at Farenheit 88 to try out these babies yourself! Founded by local Malaysian artist, Hunny Madu, her own range of makeup products that includes 7 beautiful shades of lipsticks called “The Artiste”. Madu Cosmetics focuses on paraben-free products and does not test on animals which is always a plus, we love our furry friends! LMK cosmetics curated by Little Miss Khan (aka Ameera Khan) made it on our list! As an highly-followed influencer, she shares her love for makeup with her supporters through her cosmetic products. Since 2016, she has launched 7 lippies, 5 blushes as well as two eyeshadow palettes. Support the local make-up scene the next time you’re planning to get new make-up!